Stowe, I like you. I like you a lot. With so many ski resorts in Vermont, it can be hard to decide where to ski when the Green State of Vermont shifts into a winter wonderland of white. We have Mount Snow, one of the first mountains as you make your way north into Vermont. We have huge resorts like Okemo. We have family friendly like Smugglers Notch. We have "skiers only" and more rugged terrain like Mad River Glen. 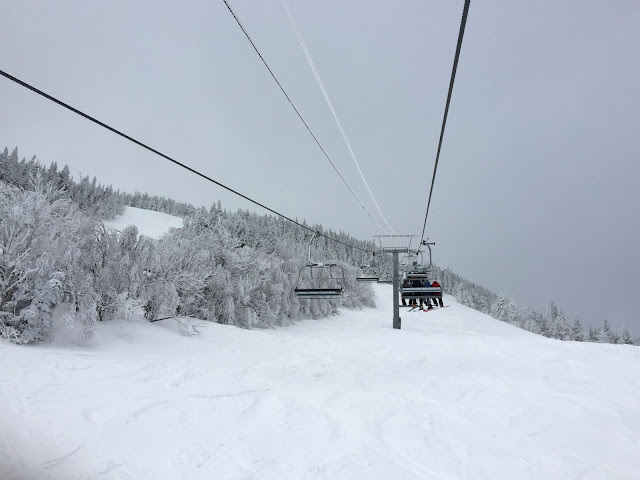 There is also Stratton with its groomed rollers, and Killington with its expansive terrain. Then we have some of the other guys: Jay Peak, Sugarbush, Magic Mountain, Bromley, and more. While Stowe has always been on my list, its high ticket prices and longer drive always turned me off. When a friend invited me to stay at their condo at the bottom of the mountain, I finally took the chance to ski the famously fun mountain. I packed up my skis and a cooler of beer and headed North. Great mountain with awesome terrain. The mountain definitely has that "simple but nice" vibe that makes a day on the mountain a great experience. While the fresh snow drove in the crowds, once we got away from the main lift the lines cleared up. The main lodge was on the smaller side and was a little older and crazy busy. The bar was one of those classic ski bars with awesome local beer on tap. One of the biggest "turn offs" with this mountain, and the reason I had never skied it before was the expensive lift tickets. 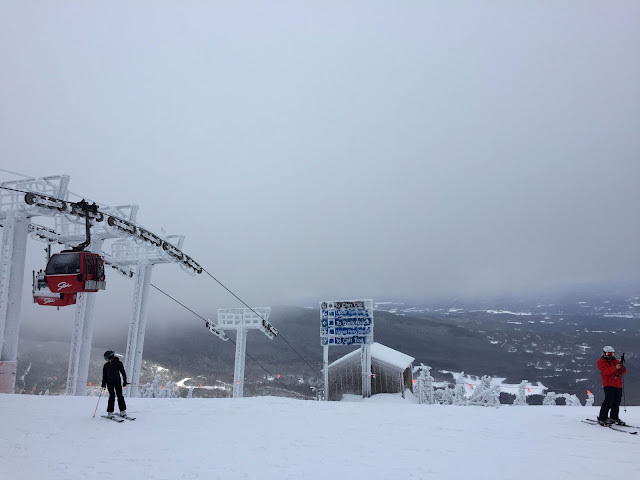 I bought a membership to the Vermont Travel Club Card ($54 one time fee) which brings the $124 lift tickets down to $70, paying for itself right off the bat (check back in tomorrow for a post and information on this awesome card). I also had free lodging at a friend's condo which made the expenses of the trip much easier. Overall, the mountain had a lot of intermediate terrain which is what I like to ski. The mountain was easy to navigate and has two distinct peaks. The gondola is a nice option on a chilly day, and the lifts were all relatively fast. As far as the crowd goes, you get a mix of skiers from beginner to advanced. 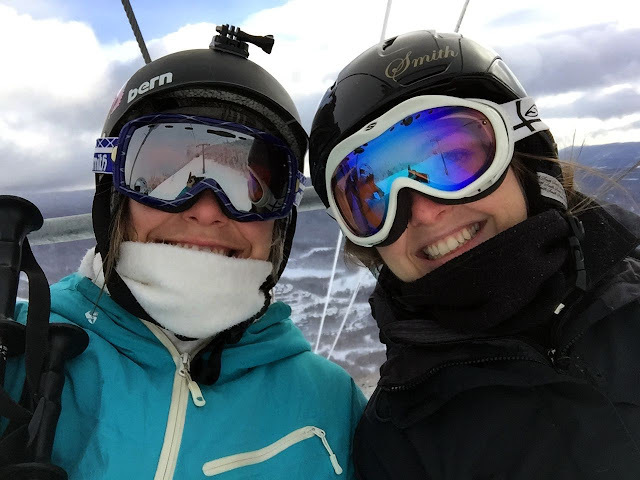 Being farther up North than popular Okemo and Mount Snow and with more expensive lift tickets, you get a different crowd of people who come for the mountain (read less of the obnoxious rowdy party crowd or beginner types, more of the true skiers). The snow was amazing the day we visited, with fresh powder and great snow on nearly all of the trails. 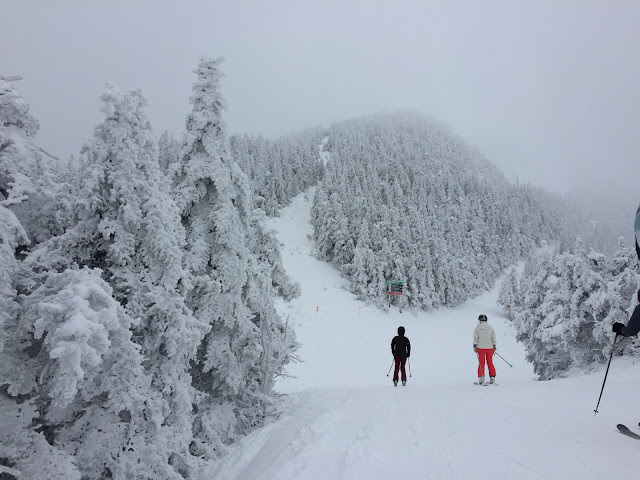 Like any busy weekend, conditions deteriorated as the day went on but until lunch, Stowe showed off with the best Vermont snow I have ever skied. What made me really love Stowe was the surrounding town from its amazing breweries and restaurants to its recreation trails. Skiing Stowe gives you a great mountain in an awesome mountain town (will be posting about this town later). 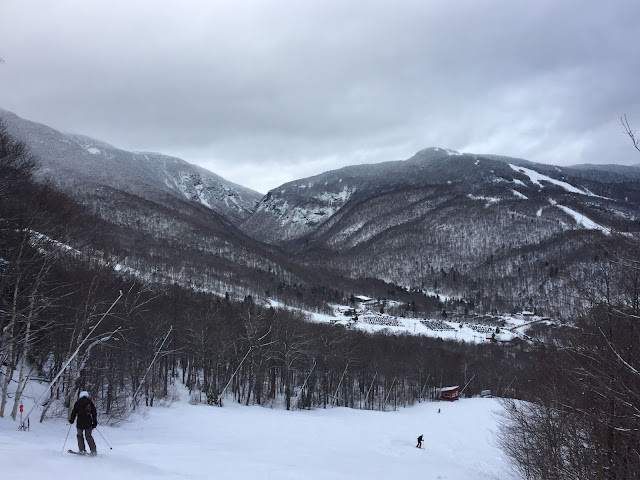 Stowe covers two separate mountains: Mount Mansfield and Spruce Peak. The lift-served vertical drop of Mount Mansfield is 2,360 feet (719 m), the fifth largest in New England and the fourth largest in Vermont. Dining On Mountain: Solstice Restaurant, The Hourglass Bar, Great Room Bar & Grille, Cliff House Restaurant, Octagon Café, Fireside Tavern, Mansfield Café, The Den and Midway Café. Around town – over 60 restaurants. 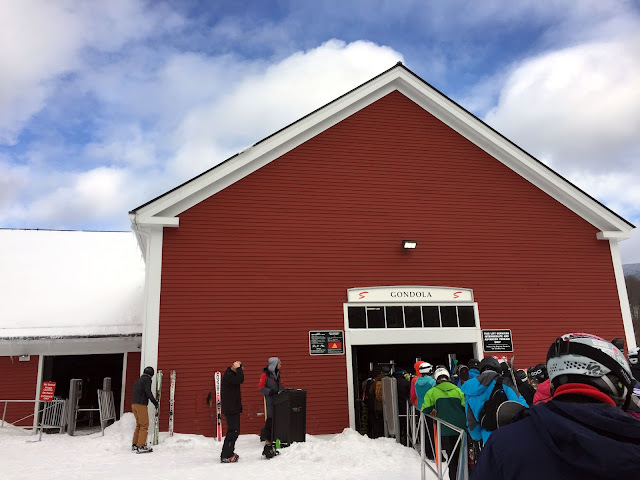 If you are planning on skiing Stowe and you do not have any sort of discount card, like the Vermont Travel Club Card I use (nore on that later), purchase your lift ticket online for the best rate and go direct-to-lift for every day you load or re-load on your Evolution Stowe Card. Once you have the E Card, no need to head to the ticket booth any longer. Stowe uses an electronic card, the Evolution Stowe Card (ESC) to access the mountains. 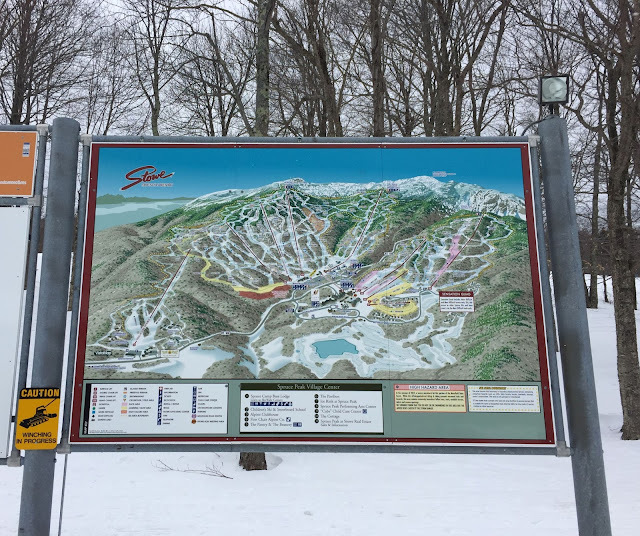 "Once loaded with a lift-ticket product, the ESC provides swift and easy access to 11 lifts and the legendary Stowe experience. The ESC is an RFID-enabled card you keep in a pocket, allowing for hands-free lift access. An ESC must be purchased at a ticket window for a $5.00 one-time fee. NOTE: Once you have your ESC – you still need to add a lift ticket product onto your card". *** Prices below do not include the 5$ one time fee for the ecard. 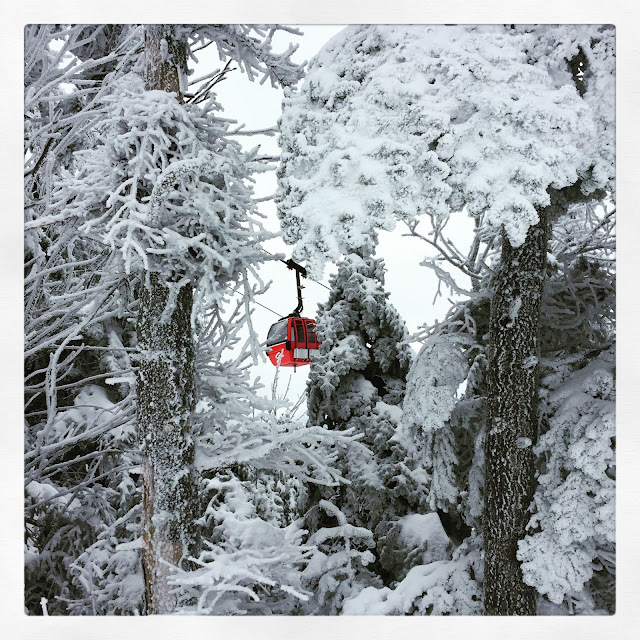 Free lodging and discounted lift tickets made a weekend at Stowe an affordable trip. After hearing all the hype about Stowe, I was finally able to take my skis to the this mountain to see what the fuss was all about. I have to say, out of all the Vermont ski resorts, Stowe may be my new favorite. When the conditions are right in Vermont, you fall in love with the state a little more and soon forget all those icey days and long lift line of ski days past. Stowe brought about classic New England skiing and I love snapping pictures of the iconic red gondolas streaking across the mountain. The recent storm had coated the mountain in a layer of magical white turning all the trees into an icy white landscape. This was such a great weekend at a "new for me" mountain, marking my best day of skiing on the East Coast by far. 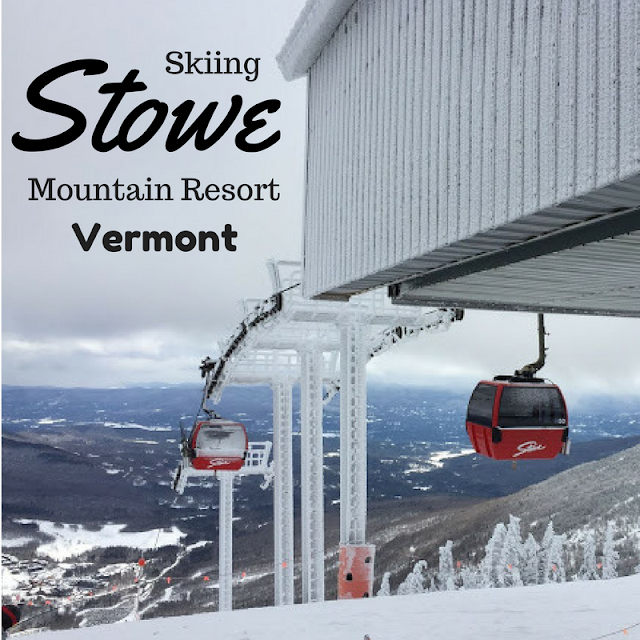 Check back in for my post on the Vermont Travel Club Card and a post all about the Town of Stowe. I can't contribute much since I don't ski, but my brother lives one town over from Stowe. It's a beautiful area! It is such a pretty area! I can't wait to go back in the summer! Stowe is already one of (if not the) most expensive mountain in the area! 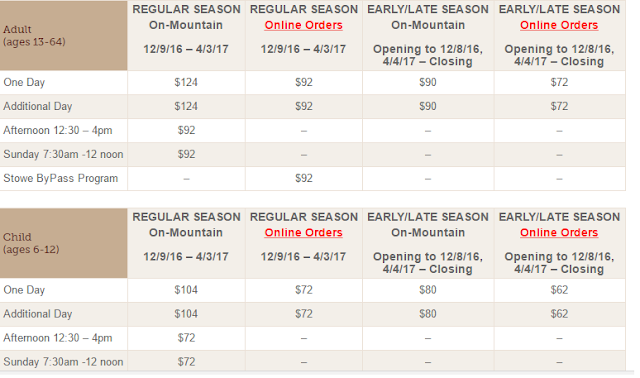 I was sad to see the news about the purchase :( I definitely have to check out Jay Peak!